The Leaning Tower of Pisa is considered as part of the defining landmarks of Italy. This architectural wonder has been a part of the fabric in Pisa since the 12th Century. It is still remains as the biggest tourist attractions in Tuscany, and the perfect place to visit on your travels to Italy. The 14,500-ton tower would go on to become a symbol of civic pride, but, a lot of what is so iconic about this tower actually came about as a result of a mistake. 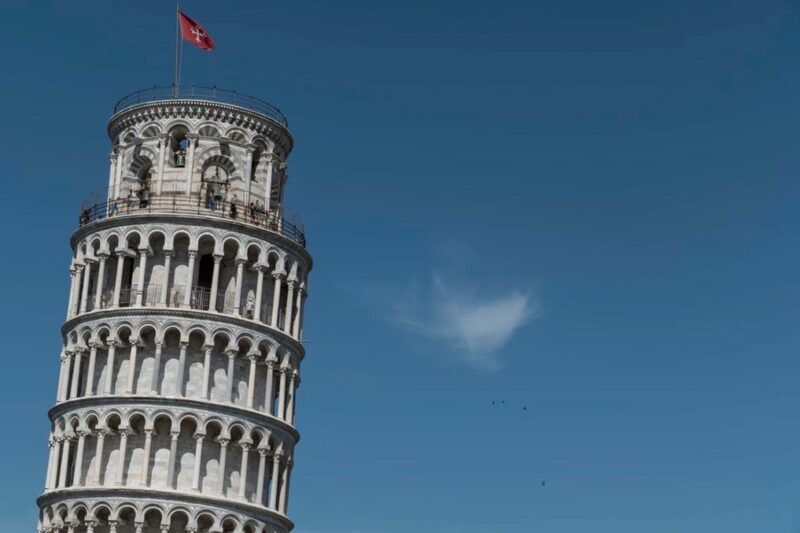 We didn’t know much about the Leaning Tower of Pisa for quite some time until we decided to look into the story behind it. When it comes to landmark designs around the world, the tower is the most unforgettable. So, let’s take a look at the story behind the tower, and what it was that turned it into the cultural emblem it became. 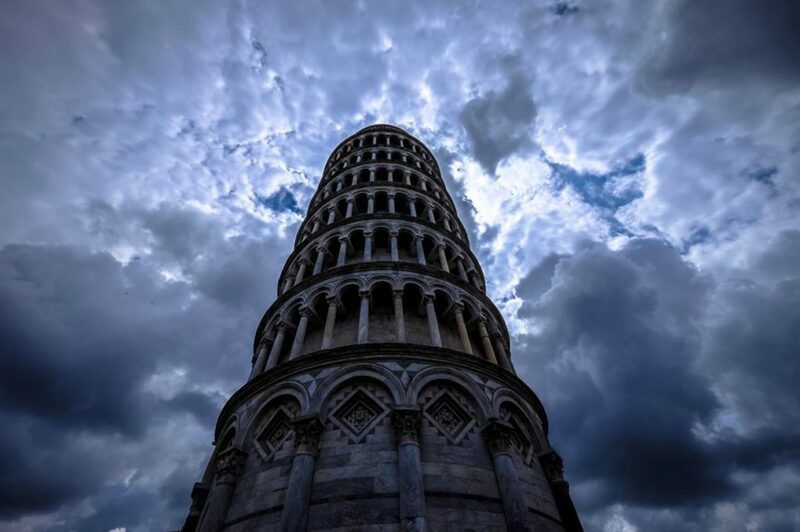 Construction of the tower began in around August of 1173, and it was then known as simply the Tower of Pisa. It was erected as the freestanding bell tower to go alongside Pisa Cathedral, meaning it had religious significance. Now, the construction was anything but smooth, and there were interruptions as a result of war and debt. The tower was actually upright for 5 years after its initial construction. But, after the building of the third floor, people began to notice that the tower was starting to lean! As we already discussed, the lean was not actually intended, but, rather, a result of the tower being built on a foundation of clay. The architect failed to account for this (he should have done really, it being his job and all! ), and this is the reason behind the lean. So, why didn’t the tower fall over rather than simply leaning? Well, it’s thought that the interruptions that occurred over time allowed the soil and clay to compress and become impacted before the rest of the tower was built. The tower itself is actually slipping further into the earth,xdropping at a rate of around 2 millimeters per year. It is thought that the tower is approximately 5 meters off of being perpendicular. To combat this, efforts were made to make the stories shorter on the uphill side, thus combating the problem, but it didn’t work. Eventually, the decision was made that the tower needed to be prevented from falling, but should still lean as it was essential to tourism. So, a team of engineers and architects came together, and a lead counterweight of 800 tons was installed! There has long been a debate about who actually designed the tower. It seems like the real architect was possibly reluctant to come forward because of the miscalculation that led to the lean – this was likely to have been pretty embarrassing at the time. Bonanno Pisano and Gherardo di Gherardo are thought to have executed the first phase of the design. While the tower is thought to have been finished by Tommaso Pisano. The Leaning Tower of Pisa is one of the most recognizable and iconic landmarks around the globe. It is considered an anomaly because of the fact that it leans and should, by rights, have fallen over. There are so many different architectural wonders today, but this leaning tower is one of the most curious. Make sure you pay a visit to Tuscany and go see this amazingly iconic building.